Specialized environmental courts are now operating on every continent except Antarctica. What's behind the boom? Reprinted with permission of Ensia. April 24, 2018 – When the improper disposal of wastewater from the construction site of a joint shopping center and apartment complex threatened to contaminate hundreds of residents’ water in Sonsonate, El Salvador, activists and community leaders filed a lawsuit through the country’s specialized environmental justice system. In response, Lina Pohl, El Salvador’s minister of environment and natural resources, went to inspect the water. When she found signs of contamination, she ordered the suspension of construction. Using legal tools to report an alleged violation of the law might not seem groundbreaking. But in El Salvador, justice in environmental disputes has long swung in favor of rich developers with political connections rather than activists and citizens. So, in 2014 the Central American nation established three regional environmental tribunals to even the playing field in environmental disputes. Justice systems around the world face obstacles to settling environmental cases quickly and fairly, whether from corruption, drawn-out trials or judges who lack understanding of environmental issues. Specialized environmental courts have emerged as an important defense against human-caused destruction of the environment. In 2009 there were only 350 of these specialized court systems in the world. Today there are at least 1,200 in 44 countries. The boom in environmental courts is driven by an evolving understanding of human rights and environmental law, increased awareness of the threats of climate change, and dissatisfaction with general court systems, according to George (Rock) Pring, co-author of “Environmental Courts & Tribunals,” a United Nations Environment Programme (UNEP) guide for policy-makers. International agreements like the Paris Climate Change Accords have made important strides in recognizing the severity of the problems posed by climate change, but their non-binding nature means that it is up to national court systems to ensure these promises are carried out. Specialized environmental justice systems are now operating on every continent except Antarctica with a range of responsibilities and capabilities. The goal of these specialized justice systems is always the same: to decide cases quickly, fairly, and more cheaply than would be the case through the conventional court system. Specialization, the logic goes, is the way to do that. Take India, for example. The country suffers from intense air and water contamination, problems that have dire consequences for the environment as well as public health. Solving these problems is urgent, but the country of 1.3 billion people has a court system that is notoriously slow, with some cases dragging on for more than 10 years. In 2011, a specialized court system called the National Green Tribunal (NGT) began operating in India. The tribunal, with multiple branches across country, is made up of specialized environmental judges and scientific experts. The court can settle cases in multiple ways. In some cases, instead of just handing down judgments, the court practices a stakeholder consultation process, working with the activists, companies and government institutions to come up with solutions, such as phasing out older cars to reduce air pollution. “Problem solving is very central to this tribunal, and to solve the problems the court is looking beyond the traditional remedies that are available because they want to solve the issue rather than linger on for years to come,” says Gitanjali Gill, a National Green Tribunal expert and professor of environmental law at the Northumbria Law School in the U.K.
To ensure swift judgments, the tribunal is required to solve cases in six months. Gill reports that this rule is not strictly followed, with some cases lasting longer than six months, but they are still resolved much faster than in India’s general justice system. In Australia, the Land and Environment Court of New South Wales has operated successfully since 1980, solving problems of sustainable development, fighting against the effects of climate change, and protecting the coastline and national parks. Its longevity has given it the time to evolve and test difference approaches, making it one of the most innovative environmental court systems to date. One of these innovations is the concept of the “multi-door courthouse,” which offers different types of conflict resolution so all parties involved can reach an agreement that is not necessarily handed down from a judge. Strong leadership, steady funding, and political support have been the key pillars to the court’s success, according to the UNEP report. In El Salvador, trust in the justice system is low and risk of environmental damage by climate change is high, making the country a prime candidate for a specialized environmental court system. Before the system launched in 2014, some Salvadoran citizens and activists didn’t see the point in reporting environmental violations. Without pressure from civil society, government institutions didn’t keep on top of environmental violations. But that’s changing. “Now, citizens know that there are environmental tribunals. Companies also know. So there is a new push within the country towards recognizing the importance of environmental laws given that there is a new institutionalized system that handles these cases,” says Samuel Lizama, presiding judge at the Environmental Tribunal of San Salvador, one of the three regional courts in the country’s specialized environmental court system. These specialized systems are far from perfect. Some experts oppose them in principle, arguing that they lead to biased judgments, that the benefits do not outweigh the costs, and that they are a Band-Aid for a larger problem of a weak justice system, as Pring explains. In India, judgments are not always carried out, and the tribunal does not have the capability or resources to follow up on all the cases. In El Salvador, environmental judges balance other caseloads, taking their time and energy away from environmental cases. In at least seven cases, including Bahamas, Netherlands and South Africa, environmental court systems have been discontinued because of lack of funding, change in political leadership or pressure from special interest groups. In addition, it’s hard to objectively judge the value of environmental court system decisions in a world in which environmental law evolves and climate change creates new challenges. 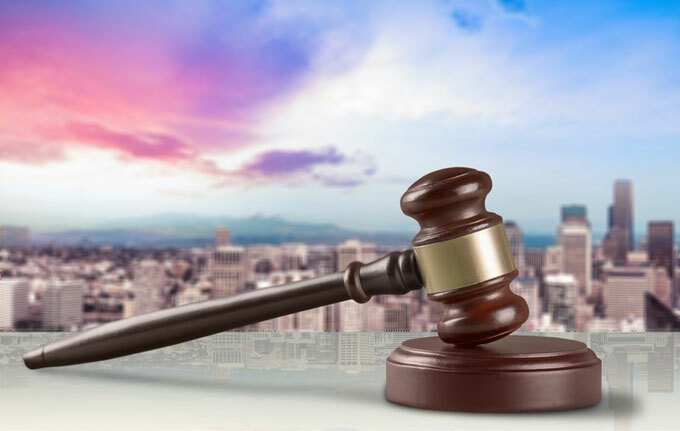 Environmental courts don’t provide a one-size-fits-all approach to solving problems of governance when it comes to environmental issues, but they have proved effective for many countries, from El Salvador to India to Australia. They will likely continue as an important line of defense against environmental deterioration as the threats from climate change intensify in the coming years. Ensia editor’s note: This feature is being co-published with Public Radio International. Reprinted with permission of Ensia.